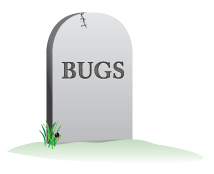 We have been on a massive bug squishing bender for the past couple of weeks and we are rolling out the results later on today (5/16/2012) at around 4pm CST. The whole process should be an unnoticeable blip for most, but some times these events walk us into unexpected problems so we are telling everyone to prepare for interruptions until 5pm CST. Zone Pie Chart now filters unused slices so if you have no dual fuel costs, there is no dual fuel slice. It used to be that a user could get around setting some of the information LoopLink needs in order to run an analysis. For example, you could add a zone before setting any energy prices... this was bad. We fixed it. Duplicate projects will copy pricing information from the original. You can't have a sensible heat factor of 0... that wouldn't be sensible. We found a couple of typos... in this day and age of spellcheckers too. It was totally inappropriate we know. If you fin d an mispellin ni LoopLink, let use now and we'll send you a rward. We have a bunch of other little tiny things that we worked out too. Most of which weren't problems but rough edges that got a little smoothing. We meant what we said about rewards too... if you are the first one to catch a problem in LoopLink and you let us know about it by phone (866-995-4449) or through our comments form we will reward you for your efforts.